I took a trip down to the pond this morning to monitor the progress of the cygnets and ducklings. Unfortunately one of the cygnets seem to be have taken by a Fox or other predator. Happily the other three are fit and healthy and are growing at a rapid rate.Better news regarding the 9 Ducklings as they are all accounted for and they too are some size. 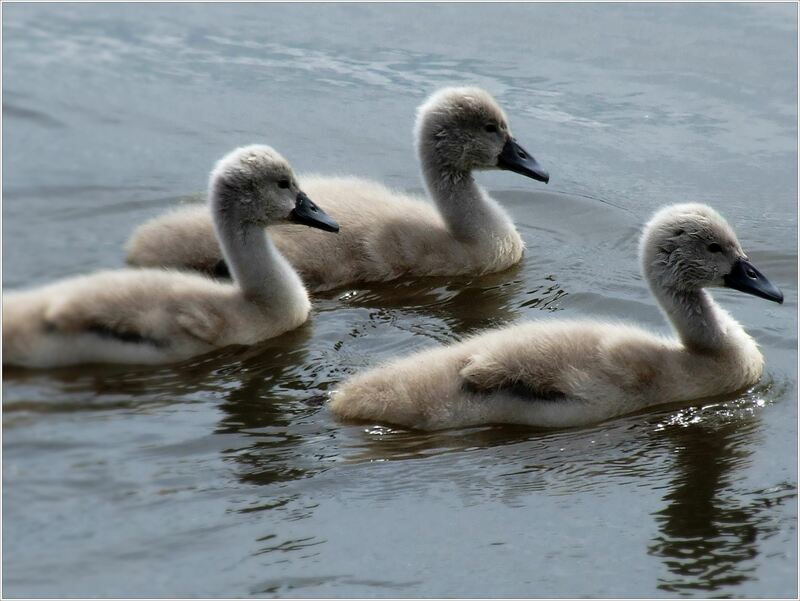 The Three remaing Cygnets are fit and healthy. 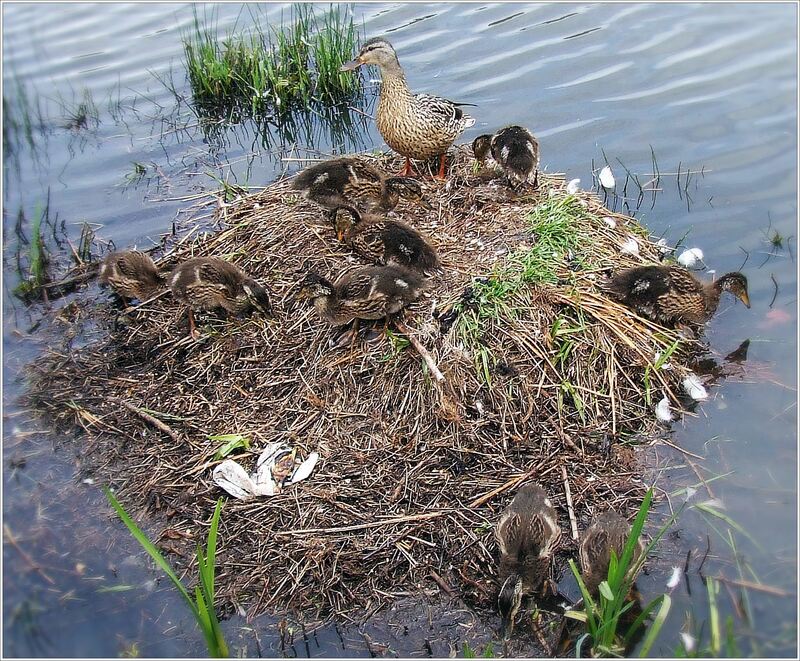 Remarkably all nine Ducklings are still around. Young , Fit & Healthy. The Three reaming Cygnets are fit and healthy. I took a trip down to the pond last Friday and got some great video and photos of the 9 Ducklings and 4 cygnets. 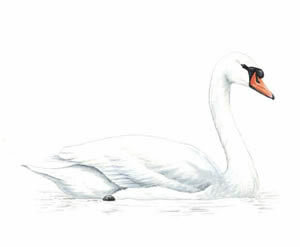 The mute swan is a very large white waterbird. It has a long S-shaped neck, and an orange bill with black at the base of it. Flies with its neck extended and regular slow wingbeats. The population in the UK has increased recently, perhaps due to better protection of this species. The problem of lead poisoning on lowland rivers has also largely been solved by a ban on the sale of lead fishing weights. Some birds stay in their territories all year, while others move short distances and form winter flocks. In cold weather, some birds arrive from Europe into eastern England. Breeds across most of the UK, other than in northern Scotland, mid-Wales and the moors of south-west England. Possible to see anywhere there is a shallow lake, or a slow-flowing rivers, even in urban areas and parks. Water plants, insects and snails. 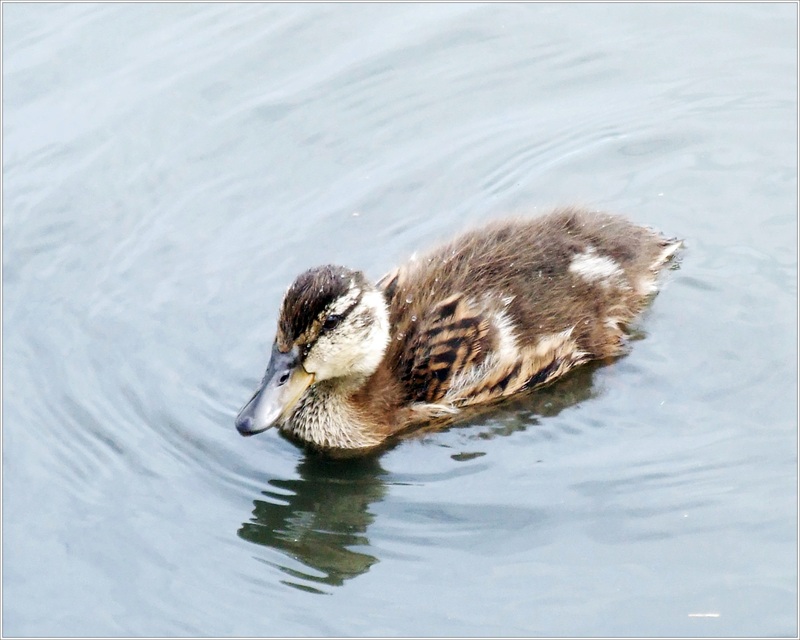 This very grey-coloured dabbling duck, a little smaller than the mallard, and with an obvious black rear end. It shows a white wing patch in flight. When seen close up the grey colour is made up of exquisitely fine barring and speckling. It nests in low numbers in the UK and is an Amber List species. Visit gravel pits, lakes, reservoirs and coastal wetlands in winter. 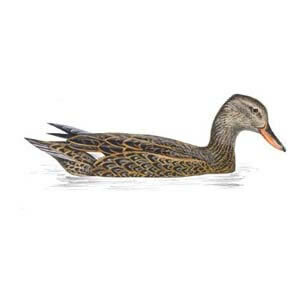 To see breeding gadwalls look in the shallow edges of lakes and gravel pits where there is vegetation – mainly in the Midlands and south-east of England, eastern central Scotland, eastern Northern Ireland and the south-east of Ireland, and south-east Wales. Anytime of year, but chances are better in winter when numbers increase as birds migrate to spend the winter in the UK, away from harsher continental weather.